As Instagram feeds turn to clean, minimal aesthetics, it’s only fair that fashion and beauty trends do the same. Allison Asis, the founder of Cadette Jewelry, knows this all too well. The Toronto jeweller created Cadette in 2014 hoping to get women who don’t wear jewelry, like herself, to find a love for delicate pieces. 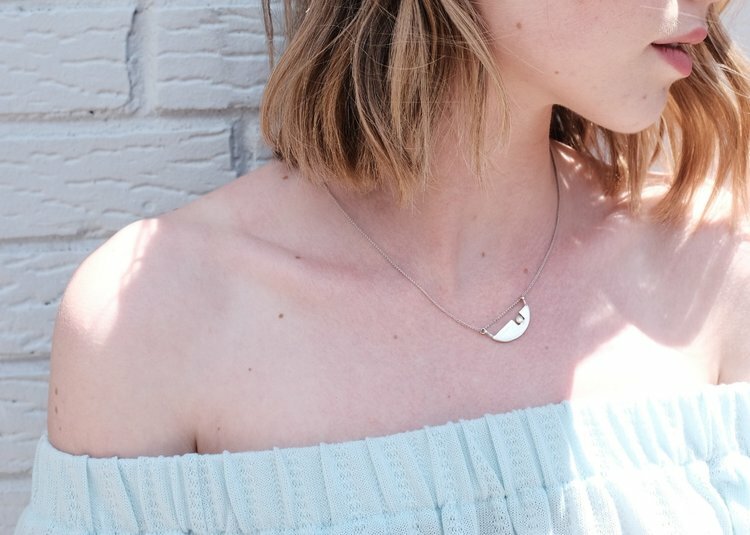 “I think there’s so many girls who are either not jewelry wearers or simply want pieces that compliment their natural style and natural being,” she says. Asis started out as a fashion blogger, but realized she wanted more satisfaction from her creativity; and so the minimalist beauty of Cadette was born, drawing inspiration from trends worldwide. “There’s a very simple, clean aesthetic that’s happening right now and it’s drawing inspiration from Japanese and Scandinavian style,” says Asis. Drawing inspiration from designers like The Row, by Mary-Kate and Ashley Olsen, and Acne Studios, the Toronto jeweler looks to keep her pieces minimal but with a twist. Recently, Asis also became a metalsmith, learning to create her own pieces from brass and sterling silver. She chose these two metals because brass can be polished to have a similar look as gold. Sterling silver - a popular choice for jewelry that stands the test of time. “Even when it ages it looks beautiful with more character,” says Asis. Since 2014, Asis has been the leader for all of Cadette’s departments – from creative to financial. She considers herself a one-woman show. She believes that minimalist jewelry is here to stay. This piece was edited by Krizia Ramos, Co-Fashion Editor at CanCulture.